The fashion industry! I always knew I wanted to move here, and landing a job at Marc Jacobs after college made it a reality. I went to bed at around 11:30PM. I got home from a good friend's birthday and went to bed! Jesus, Elsa Schiaparelli, Alexander McQueen, Audrey Hepburn, Oscar de la Renta, Karl Lagerfeld, and Ryan Gosling. I shop mostly onlline and at vintage/discount stores these days. After working in the fashion industry for so long, the thought of buying anything full retail price is ridiculous to me. My signature look is basically very feminine/trendy, and obviously always decked out in jewelry. I would love to collaborate with the Erickson family of Erickson Beamon. The jewelry is beyond fabulous! Battery Park -- Quiet & beautiful. 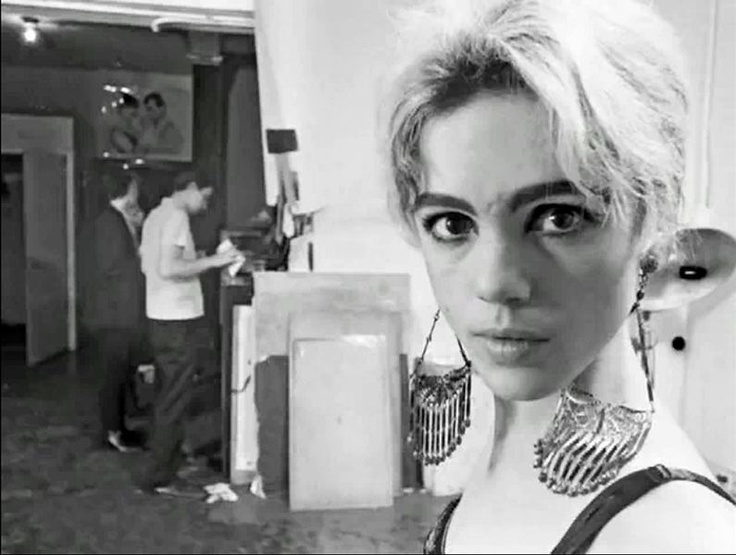 Edie Sedgwick. That girl ROCKED the big earrings and jewels. Cliche, maybe, but..."Everything happens for a reason." I am currently the Design Manager of Lulu Frost Jewelry, and previously was a jewelry designer for Givenchy and Marc by Marc Jacobs. You can find my work online or at major department stores such as Bergdorf Goodman, Barneys, Neiman Marcus, Bloomingdales, Nordstrom, Macy's, etc.